What's with all this interest in Pinterest? Pinterest is like a simulation of the perfect world. Whenever I have browse, I instantly see my dream home, the perfect outfit and the most delicious dinners. It’s a never ending source of temptation. If you’re looking for a way to visually tease potential customers – there’s no better social media platform. With approximately 20 million users to date, Pinterest’s power and pinfluence (I couldn’t resist) is growing. Rather than words, users share images. The network allows you to create different boards under different subject headings. For example, you might have a board entitled ‘My Dream Homes’ or ‘Places I’d like to visit’. If you see an image pinned by another user that relates to your boards, Pinterest allows you to ‘repin’ that image into your own collections. The overall idea is to create a fluid vision of your interests or company branding. Never repin images that are copyrighted – the majority aren’t but the ones that are will make it clear. Also, try to credit your source – pinners appreciate it and it’s just good Pinterest practice. In order to build up a loyal following, it’s important to create Cheapest Cialis Tablets Online and Over-the-Counter in the UK. a strong collection of pins. People will want to follow you for a reason – so give them one. When anyone repins an image from your boards, the link will point them back to your site. Think about the quality of the images that you pin, especially if you’re in the design business. People appreciate quality. Don’t forget that you can pin videos too. Pinterest is a multimedia platform. In doing so, you’ll be able to figure what people enjoy, and what they don’t. Keep an eye on your competitors sites – it might spark a few ideas. Comment, comment, comment. Pinners like to get feedback on their pins. It’s also another way of getting recognised and gathering a bigger following. Do not pin dump. This means that you need to pin at specific times. Don’t just leave it until a Friday afternoon and then flood your boards with all the images you’ve collated during the week. Be consistent. Remember that Pinterest is about creating visions. It’s a way to reflect your company’s ethos through the freedom of pictures and images. 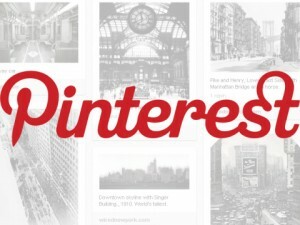 Comments Off on What's with all this interest in Pinterest?